Real-time, row-by-row, performance monitoring allows you to make decisions on the go. It provides clear visibility to diagnose planting errors, reduce compaction, control depth and evaluate seeding performance. Set and adjust residue managers from the cab using CleanSweep®. Air cylinders provide flexibility and enhanced performance to clear residue and improve emergence without going too deep to create trenches. Automatically control down pressure on every row for more accurate seed depth across varying soil conditions. DeltaForce can also lift the row unit to optimize seed placement in soft soil. The vDrive™ electric meter-drive system prevents overlaps and provides contour control to maximize seed placement accuracy. Maintain the prescribed population on each row for optimal yield potential. The vSet™ vacuum meter system provides industryleading singulation accuracy with no need for adjustments. For insecticide application. Puts chemical in a narrow band either before and/or after the press wheel. Holds 70 lbs. of either herbicide or insecticide, or 35 lbs. or each when used with a conversion divider. Large dials are easy to set and adjsut to your desired rates. Removes the top layer of soil or clods from beds so seed is placed into moist soil. Wings are not recommended for heavy-residue conditions or in rocky or sticky soils. Available for soil warming in strip till conditions with heavy residue. An independent depth adjustment lets you control the level of tillage you desire. An 8-wave coulter is also available. Keep rocks from wedging between the drive wheel and guage wheel. Used in combination with a wheel cover, this also prevents rocks and dirt clods from damaging the tire valve stem. 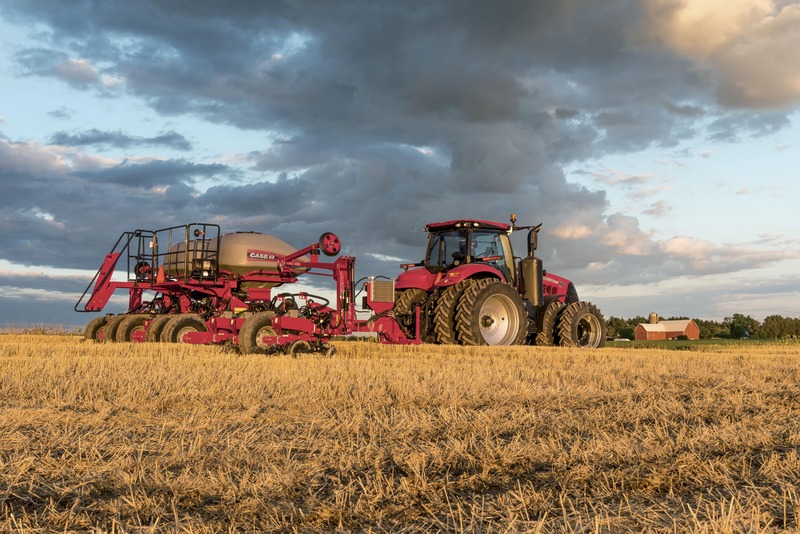 Move residue and achieve maximum soil warming in heavy strip till conditions with the combination residue manager coulter. Availabe on pivot-transport configurations only. Each 13in. steel wheel has 16 fingers to clear stalks and trash out of the way. Adjust working depth shallow enough for minimal soil disruption. Available in both floating and fixed configurations. Dual managers power through the toughest residue without creating undersirable soil distribance. High-strength steel arm can be set to float and follow the soil contour or locked down to hold the wheels firmly in place. For heavier residue conditions in mulch-till and no-till fields, opt for notched 12 in. disks in a staggered position. Adjust depth and blade angle to suite your situation. No-till residue managers are for heaver, no-till residue situations. Available in both floating and fixed configurations. Disk furrowers move dry soil and residue to the side for smoother opener operation. Sized 9.25 or 12 in. in diameter and are set nose to nose. Adjust depth and blade angle to suit your situation. Prevents excess dirt buildup, which is especially useful in wet or sticky soils. A heavy-duty flat scraper comes standard. Available for the 1255 Early Riser Planters. New bulk fill scales give you the ability to measure the exact weight of product remaining in the tank, ensure even seed distribution between seed tanks or add only the amount of seed required to complete a field or farm. Available for the 1225, 1245, 1255, and 1265 Early Riser Planters. Using single-disc fertilizer openers to apply fertilizer can help save money on labor, fuel and equipment.